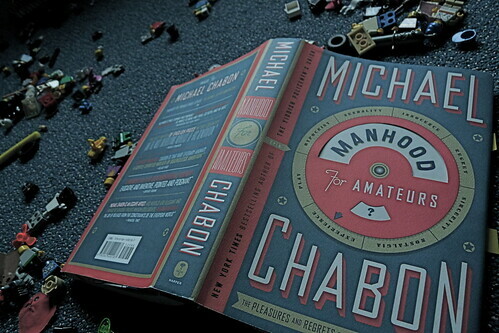 For my little project this month, I read Manhood for Amateurs: The Pleasures and Regrets of a Husband, Father and Son by Michael Chabon. I loved this book. I think my copy now bears more blue and green highlights than any of the essay collections I’ve read this year. Judging from the blurbs and praises on the back cover of the book, Chabon’s prose is widely considered some of the best of his generation. His writing is smart, lyrical, and writerly. And it manages to be smart, lyrical and writerly while containing references to Squeeze Parkay margarine, Wacky Packages, and the Planet of the Apes television show from the 70’s. I find this irresistible. Chabon is a writer of my generation, and he writes about that generation like no one else. Look at what he has to say about Captain Underpants. 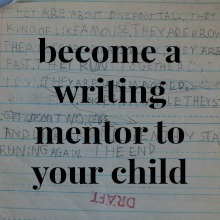 The parenting essays are my favorites here. Since I attempt to write about parenting myself, I don’t know how I’ve made it through almost a year of this project without reading essays on parenting (other than a little rereading of Anne Lamott). Chabon has now spoiled parenting essays for me: the writing of others, and my own work, especially, is now bound to wither when compared. He writes about the world I knew as a kid, with those Wacky Packs and Linda Carter as Wonder Woman and the De Franco Family singing “A Heartbeat (It’s a Love Beat)”; he writes about the world I know now, with Captain Underpants and crappy kids’ movies and neighborhoods where kids can’t wander alone and teenage daughters with blossoming bodies. 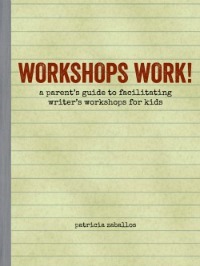 Observing his kids and himself as a father, he is both scaldingly honest and sentimental. He looks at his world from quirky perspectives that seem to have a little or a lot to do with his childhood love of comics. He can be witty and crass and irreverent and still convey those pangs of the heart that only a parent can know. There’s other good stuff here, too, some of which I can’t wait to have my husband read (especially the essay about men faking competence—I get fooled all the time, I’m guessing now.) I’m not sure I needed to know so much about Chabon’s sexual history, but then again it’s hard not to follow along when someone is sharing his or her sexual history. Especially when the sharer is a Pulitzer-award winning writer. One of my measures of an essay is its ending. I want an ending to wow me, to take all that’s happened earlier in the essay and elevate it somehow, so I feel wind-blown and shaken up and compelled to pause for a minute and reread. I don’t want an essay to be straight memoir–I want art, and a carefully crafted ending is part of that. Many essayists seem to miss that point, or don’t care; their endings are just taped-on tying-ups. Not Chabon’s. He gets it. His endings wow. Every single time. I wonder if he came upon this insight himself, or whether his wife had something to do with it. Hmm. Well, I like it either way. And the particularity of the Dinty Moore in a tube sock, too. In his essay D.A.R.E., he writes of his son asking if he has ever smoked marijuana. Chabon replies that he has. “How many times?” my son said, eyes wide. Two more simple words: so funny. I can’t help but appreciate a writer who glides so easily from Le Corbusier and Leonardo to the snap-on asses of Lego people. You know how I love details. Chabon does them better than anyone. Look at that description of the bike! His details are so precise that research must be involved. And don’t you like the Popsicles, and the potentially dangerous fathers? The essay “I Feel Good About My Murse”, on how Chabon caves to carrying a man-purse, is hilarious. The Petunia Pickle-Bottom bag just cracks me up. And I’m exhausted myself as I get to the end of the second line; I get why he breaks the ultimate rule of man-code and doesn’t put his wallet in his pocket. And, of course, the next line is “She will have none of that.” I love how much fun he seems to be having with that string of verbs, and the list of instances. And then how he segues into his first-person litany of excuses. Whew. I could go on, but I’ll stop myself. Michael Chabon lives about five minutes from me; I’ve seen him, from a distance, at the farmer’s market, at a kiddie matinee, running down College Avenue. If I ever see him again, maybe I’ll get up the nerve to tell him how much I liked his book. The plan for December is to stop making myself so crazy with plans, and to stop writing such wordy posts that take too much of my time. I’ll end this project reading Adam Gopnik, because he’s the one who inspired the project in the first place. To cut myself some slack, I’ll just focus on his essays on Thanksgiving and Christmas, from his books Paris to the Moon and Through the Children’s Gate. Wordy, yes, but I read every word, and now I love him, too. Thanks for sharing your discovery. Nice to hear from you again, Lise! You must have read every word because you commented on the last paragraph. I’m always grateful for patient readers! Oh! Now I want to read this. I just finished his wife’s book, Bad Mother. (I didn’t like it much. at all.) But your review of this one definitely makes me want to give it a go… Comparing the two sides of a marriage in this way could only be interesting I think. I read the other book too, Diane. I suppose it isn’t fair to compare, but it’s hard not to. I found myself reading her book for the titillating tales she was telling and her willingness to be honest, while his book was all about the writing for me. And he puts an interesting spin on every topic he writes about. i’ve read several of his fictional books and have been anxious to pick this one up. i was trying to hold out until it came out in pb but don’t think i’ll be able to wait. i love the excerpt about his childhood, it reminds me very much of my summers as a kid. it made me think that many children don’t have those experiences anymore and i hope mine do. and the excerpt about throwing away your child’s art. i may have type that up and hang it on the fridge. Hi Gonzomama! 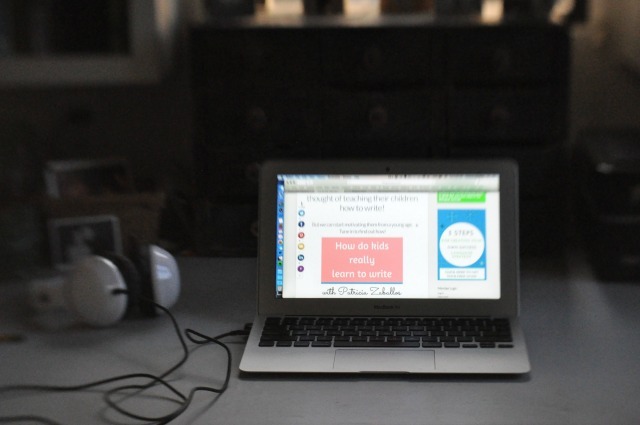 I’m honored that you’ve visited my blog! I love yours. Did you get to read the Wilderness of Childhood essay in its entirety? It’s online. I loved that one. Thanks for this delightful review–I requested the book at the library, but I think I’m about #22 on the waiting list. I may have to buy it for a holiday treat for myself! I think it’s interesting that the publicity for his wife’s book this summer may be helping bring new readers to his work. An unusual twist. Do buy it as a holiday treat for yourself. You’re a writer, and I know you’d appreciate it! I’ll bet you’re right about the publicity for her book. She also probably knew better than to release hers second. It would be awfully hard to follow up a husband who writes like Michael Chabon. I know, the “people” thing. I re-read so many lines in this book to appreciate all those little details. Who knew I was depriving my child of a small enchanted precinct of parental disapproval and the opportunity to thrill to the deep, furtive pleasure of annoying me. I’ll have to pick something to disapprove of. It is too late to disapprove of Captain Underpants. I loved the people on the towel hooks, too–I reread it thinking we enjoy the specificity of the Dinty Moore can, but here it is the tongue-in-cheek inspecificity that charms. Oh, and the passage on each day as a child’s work of art offered up with a ceremony and offhandedness. Brilliant. I know, I’ve already blown it with my long-time approval of Captain Underpants. I used to rush H to the bookstore when a new edition came out. What a failure of a parent I am! At least I’ve vociferously disapproved of the Berenstain Bears and those Magic Tree House kids. And have displayed an admirable sense of annoyance when they’ve been read anyway. And you’re right about how he uses both specificity and inspecificity to fine effect. There’s so much to learn from masterful writers. I like the original Berenstain Bears books, the picnic one, and the vacation one, but the didactic franchise built upon them is loathsome. I can’t tell you how I relished the news (in the book Nurture Shock) that the Berenstain Bears books teach kids to be more skilled relational aggressors. What is a relational aggressor? It can’t be a good thing, I’m guessing.